A former Dell worker that left his corporate finance job to set up an online dry cleaning service is planning to expand his business in Europe. Dubliner Evan Gray set up his Hailo-style app Laundrie in October 2015 after experiencing first-hand how inconvenient it was to get his suits professionally laundered. Despite enjoying his "chaotic and thrilling" role at the computer company, Gray's entrepreneurial spirit won out so he took the plunge and pumped his time, energy and money into the new start-up. "I started developing Laundrie about six months before I left Dell, looking at how I wanted the app to work, how customers could get the most out of the service," he told independent.ie. "Working outside of an office or own my own wasn't an issue after my experience with Dell but some of my original ideas had to be tweaked significantly. Since the app launched, the customer side of things hasn't changed much but the back end technical things has gone through huge changes." Gray reveals that concepts he thought "were probably wrong and ended up being wrong" took a bit of tinkering with to reach the standard the app is at today. The finished product is definitely doing something right - with over 5,000 (one-time and returning) customers and growing in less than 18 months in business. Laundrie was launched at a time when "on-demand" app like the taxi service Hailo were become really popular, particularly among time-poor professionals. Repeatedly frustrated at the office-like opening hours his local dry cleaners adhered to, Gray realised he could apply the Hailo model to his own enterprise. "I was in my late 20s and I had just moved back home. I had some savings and I thought 'it's now or never'," he said. The online laundry service has already proved successful in other markets abroad and London-based ZipJet became a direct competitor when it launched in Dublin. But Gray believes that Laundrie - which covers all of Dublin county - has the upper hand. "I think we have a head start on our competitors, we've been around that bit longer and we target a different demographic. Some of these apps target college students but Laundrie focuses on young families and professionals with disposable income and no time to spare." Gray's business model involves partnering with "tried and tested" quality laundry professionals, employing eight drivers that work until 10pm every night, and having an operations technical and a developer for the system itself. "The app is like a baby, you have to constantly keep investing in it and keep it upgraded," he said. "If we have a better tech piece, then it's better for the customers." At the moment. 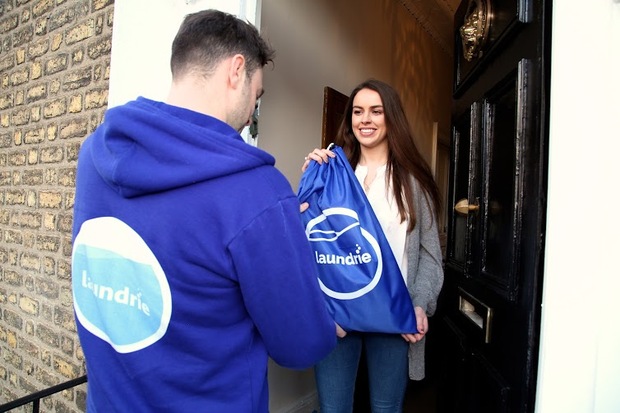 Laundrie prides itself on the convenience of a business that allows the user to book at driver from their address at a specific time - and have their professionally dry cleaned garments delivered right back to any address of their choosing within 48 hours. 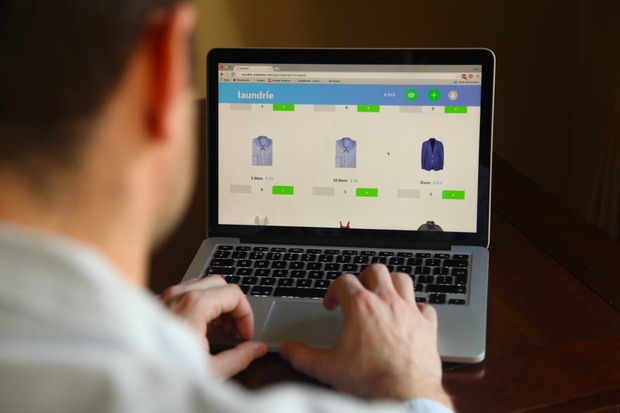 With prices relatively similar to traditional laundry prices, the popularity of the app is growing across Dublin city and the surrounding suburbs. But Evan is looking to scale-up to grow the business as much as possible - and European destinations are where his ambitions are set. "I don't have any office overheads as I spend so much time at meetings with suppliers and partners and making sure the operations are running,that there's no real need for one," said Gray. "But because we don't have an office front, the cost of marketing outdoors, on radio, through PR and Digital is almost as expensive. We're growing on average 20pc on a monthly basis but we need to scale up significantly to turn a substantial profit." Laundrie's initial investment came from Gray himself but he has looked to external investment to expand. "Dublin is slightly ahead of the curve on digital basis in comparison to other cities and we've been raising funds from private investors who appreciate our business model over the last number of months," he said. "With these funds, we're planning to launch Laundrie in Amsterdam and Brussels in the next few months."